Indira Gandhi traveled around the world, charming some governments, annoying others, and gradually changed public perception about East Pakistan. On 4 December, Pakistani troops attempted to reach Jaisalmer but India pushed them back at the desert border post of Longewala in Rajasthan. When the mechanized Pakistani infantry moved in, the Indian infantry was able to hold out because it was confident of receiving air cover. Pakistan’s failure to destabilize the IAF was now hurting its advance. It had not anticipated that the IAF would be combat-ready, because it had thought that Operation Changez Khan would have demolished many Indian aircraft. But the Indian ability to bomb from the air made Pakistani ground troops vulnerable. Obstacles India had placed along the border confused Pakistani troops in darkness. The following day, India took over Pakistani territory in Basantar in the Punjab-Jammu sector. She agreed to wait for the torrential monsoon to subside, and then forced Pakistan to make the error which justified the massive Indian retaliation. On 6 December, she declared in the Lok Sabha that India recognized Bangladesh. India’s success also owed much to the brilliant planning of Lt. Gen. Jacob. Manekshaw’s early thinking was to invade East Pakistan by capturing the border provinces of Khulna and Chittagong. But that would leave the prize— Dacca—beyond reach, because other Indian officials thought the UN would intervene and demand a ceasefire. Marching through Bangladeshi wetland wasn’t an easy prospect either. Jacob however felt advances were possible by ensuring that the army would keep moving throughout the country. 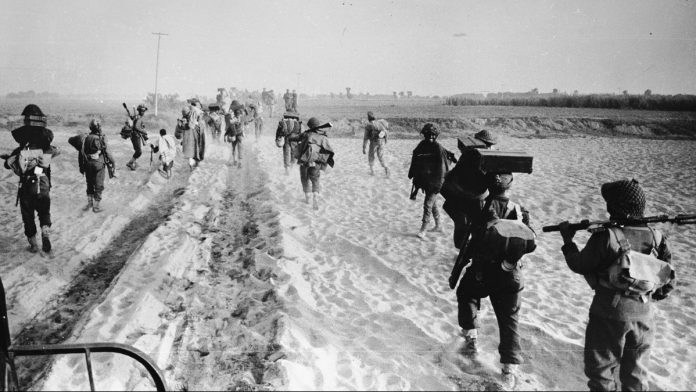 A successful campaign had to end with the surrender of Dacca. As the Pakistani army was staying close to towns and defending them, the smart strategy lay in bypassing the towns and following trails that the Mukti Bahini would identify, and thus neutralize Pakistani strength in towns by using alternative routes to reach Dacca. 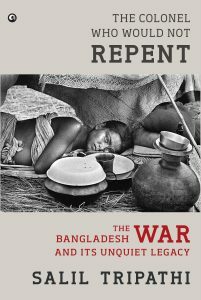 Extracted from ‘The Colonel Who Would Not Repent: The Bangladesh War And Its Unquiet Legacy’ by Salil Tripathi, with permission from Aleph Book Company.